Railway locomotives and other forms of traction were (and still are) allocated to specified operational and maintenance centres. The official name of these centres changes from time to time, but in steam days they were often called 'locomotive sheds' or 'motive power depots'. In Grantham everyone knew the shed as 'the Loco'. At the Loco locomotives received their maintenance, examinations and running repairs; they were and cleaned and prepared for duty; and they were assigned to a crew, a driver and a firemen, to haul specific train services out on the line (or for general duties such as shunting in the goods yard) . Records of mileage, maintenance and repairs were kept up to date by a team of clerks. The history of Grantham Loco spanned more than a century. Its origin went back as far as the early 1850s. Although the Loco closed as a locomotive base in September 1963, drivers and guards remained 'on the books' at Grantham Train Crew Depot until it too closed, in May 1990. Many Grantham-based locomotives and crews worked long mileages to and from points between London and Newcastle on the East Coast Main Line, or to Leicester Belgrave Road, Derby Friargate, Lincoln or Skegness. 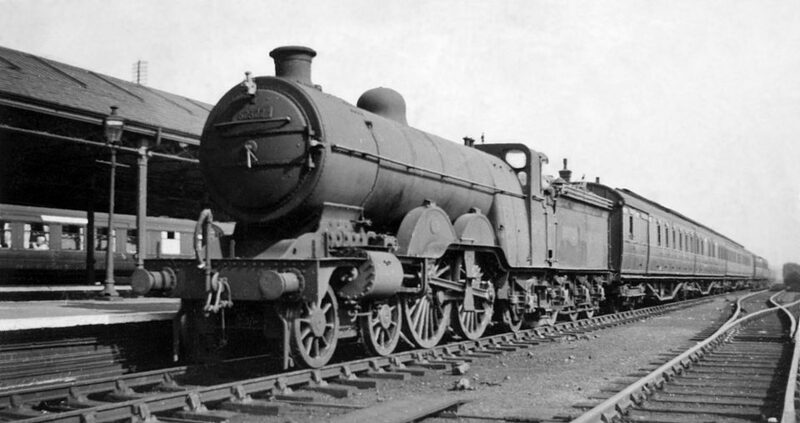 Crews are bounded by their route knowledge, but Grantham locomotives sometimes worked more widely, on special trains or if substituting for another locomotive that had failed. If you know about an unusually far-travelled Grantham locomotive please let us know.